less than a month ago i received a message from an old etsy customer, julie. 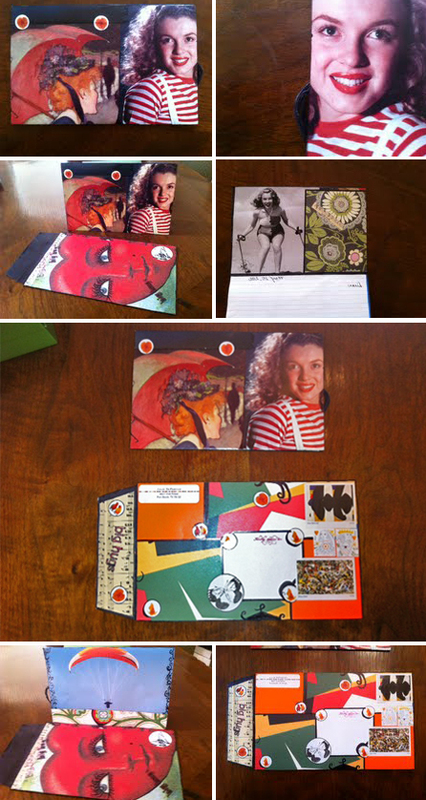 she was enthralled by the idea of the mail art challenge. she envisioned her entire family sitting down to create beautiful mail art together! well, she won me over with that idea so i put together a custom order of four challenges and mailed them out the very next day. not long after i began receiving emails full of images from the DePorter family. just as julie had hoped, she, her husband and their two boys came together to create super creative collages using the images i sent. 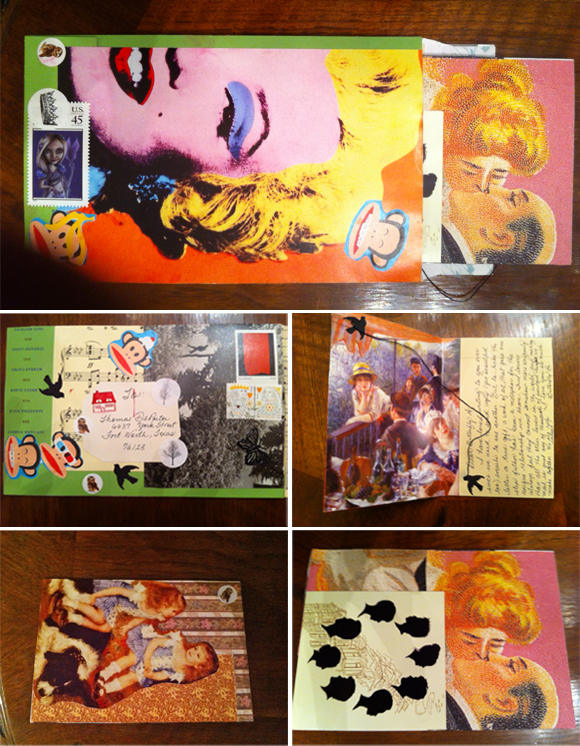 and these are some of the best mail art challenge results i have ever seen!! and with that, i'll let the mail speak for itself! 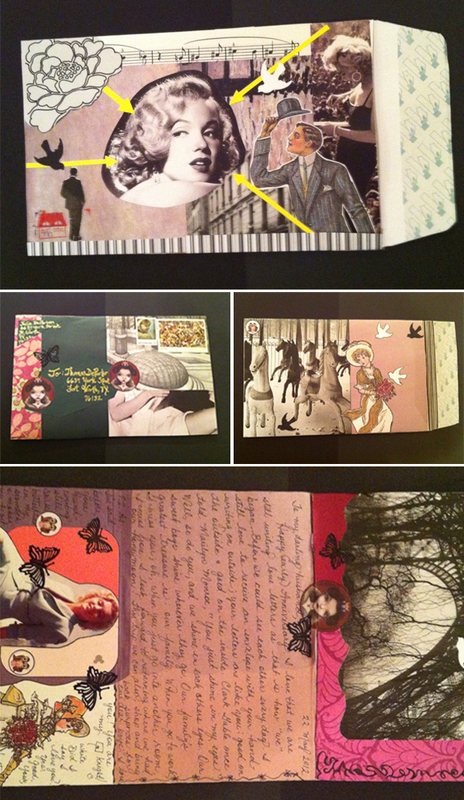 tell me in the comments which of these three envelopes+cards is your favourite!